Previously unseen details of a mysterious, complex structure within the Carina Nebula (NGC 3372) are revealed by this image of the 'Keyhole Nebula, ' obtained with the Hubble Space Telescope. The picture is a montage assembled from four different April 1999 telescope pointings with Hubble's Wide Field Planetary Camera 2, which used six different colour filters. 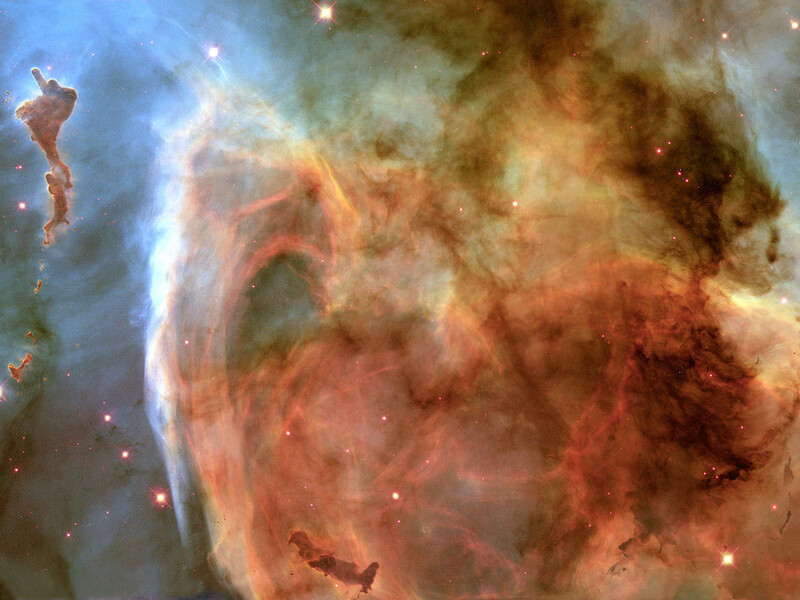 The picture is dominated by a large, approximately circular feature, which is part of the Keyhole Nebula, named in the 19th century by Sir John Herschel. This region, about 8000 light-years from Earth, is located adjacent to the famous explosive variable star Eta Carinae, which lies just outside the field of view toward the upper right. 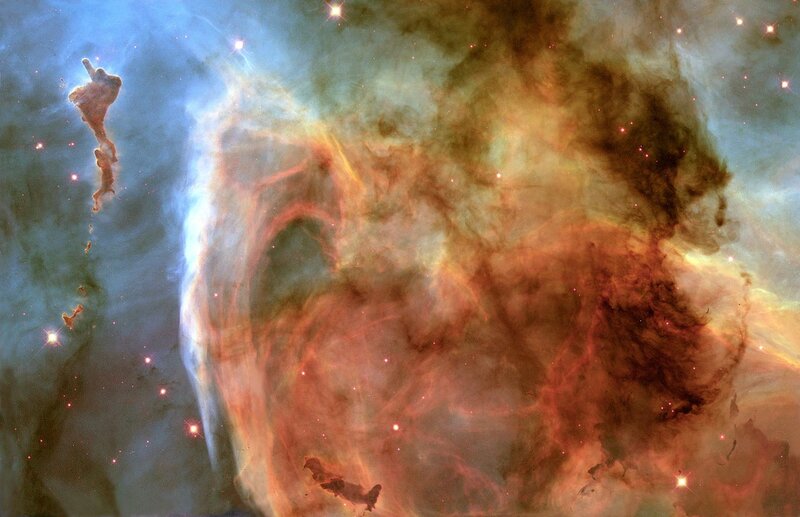 The Carina Nebula also contains several other stars that are among the hottest and most massive known, each about 10 times as hot, and 100 times as massive, as our Sun. Position (Dec): -59° 38' 56.60"